Get of the best SW22 Victory accessories on the market, the hiveGrips for SW22 Victory is one of the best SW22 grips available from TANDEMKROSS. I had to take care in thinking how I would write a review here. 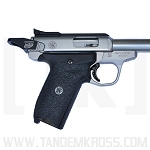 After all, it seems anything would be an improvement over the universally panned stock grips on the SW22. Thus, installing new grips might seem darn near revolutionary and spoil an other level-headed appraisal. However, here is what I have to say: They are fan-freakin-tastic! Before installing these, I was using rubberized grip tape (brand omitted to protect the innocent) and that was a bit of an improvement over stock. 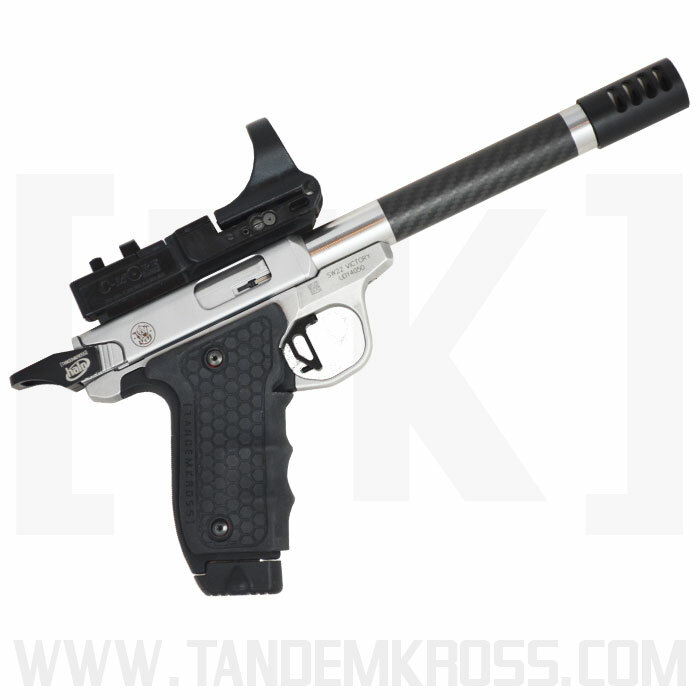 Tandemkross clearly considered how layer the stock grips in a honeycomb of awesome. Whatever rubber compound they used has to be the stuff that Goodyear puts in racing tires or the stuff that Under Armour puts on its million-dollar gloves for NFL receivers. I was worried they'd feel much like the rubber grip tape. They're 10 times stickier. My hand feels like it's melted into the gun. I am so impressed! I want these for my Shield. (Did you hear that, TK?) I'm a big fan of the finger grooves, though the experience or opinions of others might vary. They fit me perfectly. If there are any downsides here, they are very small. First, I had trouble getting one of the fastening screws back into the gun because the hole on the grip wasn't perfectly aligning with the hole in the gun's handle. Naturally, it was the last screw I was putting in. I had to push and wrangle with it--fearing the whole time that I was stripping the screw out. 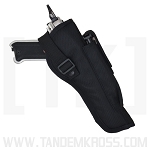 Second, while I'm fine with the fact that this isn't a total wrap-around grip, I have longer fingers and would have liked a little more in the back to change my finger position on the trigger. It's a small issue. 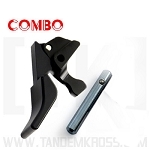 Perhaps, TK will make a few incarnations of these fantastic grips that are groove-less or which wrap totally around. In sum: These are well worth the price. This the best this gun has felt in my hand and is probably the best fit of any of my guns. Don't think, just buy. I was honored to receive these grips before the release to test and review. 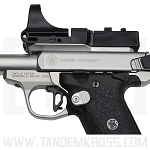 I have to say that they are the best feeling grips that I have ever felt on a pistol. The rubberized grip has great texture and they are very grippy. Your hands will not slip a bit! The grips feel like they are made for your hands. They are super comfortable and they feel thinner than the factory grips. 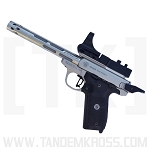 Overall I have very impressed and I am looking forward to getting a set for my limited gun also. 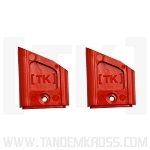 Tandemkross really hit it out of the park with these! 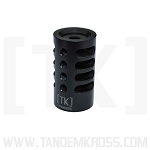 I want to thank TK so much for giving me the opportunity to try out these amazing grips. Much better feel than factory. Even without them on the gun I could feel how well my hands gripped the surface. Once I installed them they filled out my hand much better than the factory grips and the finger grooves helped increase control of the pistol. 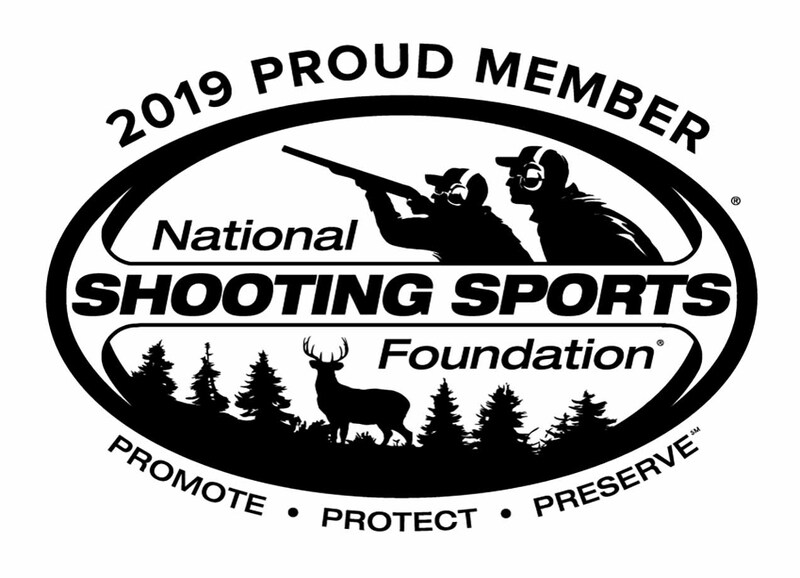 The gun felt more stable in my hands and I have no doubts they helped improve my consistency and accuracy. I highly recommend them to anyone who owns an SW22 Victory! Just received. Quick inst'l and range shoot. Feels very secure in hand and comfortable. Will see what happens in the future. Q: How much thicker are these grips than the factory grips? 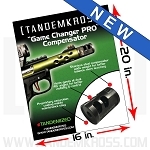 A: Actually they only add one hundredth of an inch in thickness over the factory grips. The finger grooves give them a thinner feel and the rubberized surface and the finger grips give them a great feel. Was this answer helpful? 41 of 42 Customer(s) found this Answer helpful. Was this answer helpful? 40 of 41 Customer(s) found this Answer helpful. Was this answer helpful? 36 of 37 Customer(s) found this Answer helpful. Q: Can I use cleaner on them? Was this answer helpful? 33 of 35 Customer(s) found this Answer helpful. Was this answer helpful? 32 of 36 Customer(s) found this Answer helpful. 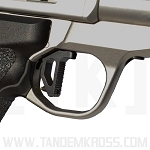 Q: Does the magazine Safety still work with the hiveGrips installed? A: Yes. 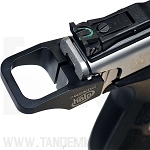 The hiveGrips have a cutout designed to allow the magazine safety to function. 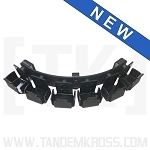 TANDEMKROSS also sells a magazine disconnect removal part that also works with the hiveGrips. 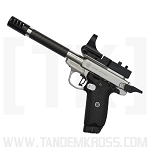 Q: Is there a picture of the grip with red insert? A: Yes there is a picture. If you go directly to the product page by search Hive Grip on our web page you will see pictures of both the solid Black and the Black with Red. Was this answer helpful? 20 of 25 Customer(s) found this Answer helpful. Q: What are these Hive Grips Made of? Was this answer helpful? 17 of 27 Customer(s) found this Answer helpful. 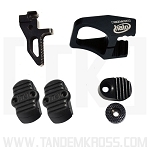 Q: Can I use my Altamont Screws with the hiveGrip? A: Yes. The hiveGrips are compatible with the Altamont Grip Screws. Was this answer helpful? 17 of 22 Customer(s) found this Answer helpful. 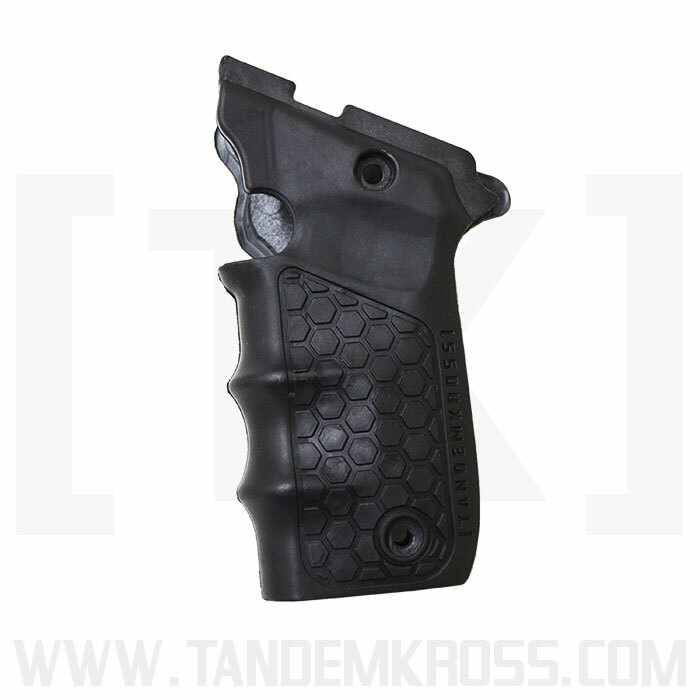 Q: Does the Titan mag release fit with the hive grips? 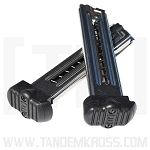 A: The TANDEMKROSS Titan extended magazine release is designed to give the shooter a better feel of the magazine release when utilizing the hiveGrip. Was this answer helpful? 16 of 18 Customer(s) found this Answer helpful.